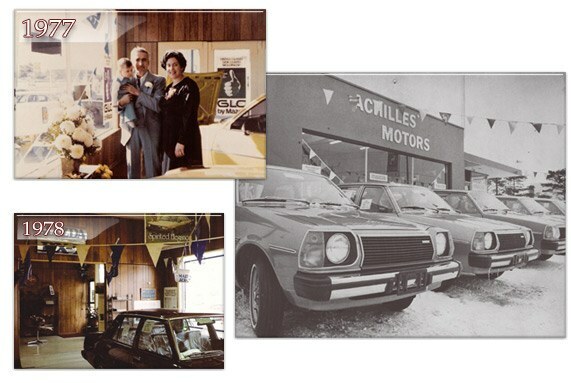 Achilles Mazda, in its early stages. Top Left you find a picture of the founders of our company, Les and Litsa Pelitis, along with now president, Achilles Pelitis Jr. 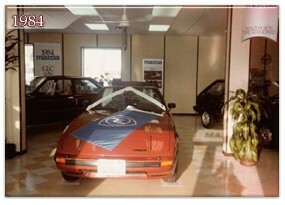 The accompanying photos give some insight to how far the Mazda product has evolved, and the appearance of our showroom in 1978. 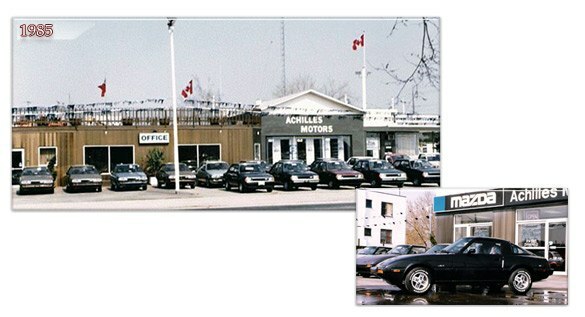 Achilles Mazda has been offering high quality products since the beginning, one of these being the most highly regarded sports cars in history, the RX-7, seen here in our showroom in 1984, with it's famed Rotary Engine. One of our favorite historical photos includes this Black 1985 RX-7, ready to make it's new owner a proud one, and take it's own place in history. 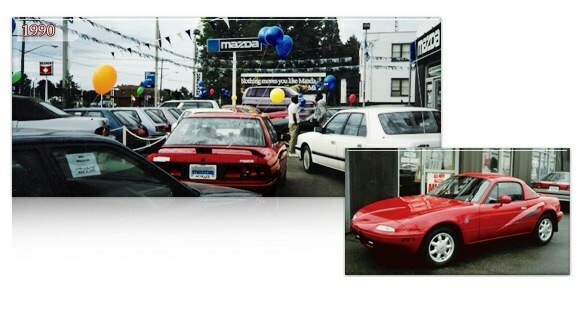 Since the 1990s, Mazda has introduced vehicles that will go down as vehicles that folklore is made of, like the 1990 MX-5 Miata, the most popular sports car in history, according to the Guinness Book of World Records. 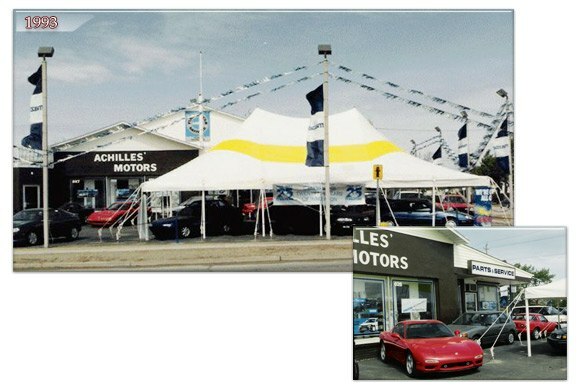 Local events are a common theme at Achilles Mazda. Being a responsible member of the community is one of the factors that set us apart from your big-box dealerships. We proudly support our local charities and sports teams year-in and year-out. The picture here shows our participation in a joint event with our local Fire Hall in 1993.